According to an analysis of various studies by the British Journal of Dermatology, researchers have found that consuming alcohol may raise your odds of developing non-melanoma skin cancer. Although melanoma is the most serious form of skin cancer, non-melanoma skin cancers, like squamous cell and basal cell carcinoma, are much more common. And while non-melanoma skin cancers are less likely to spread, these cancers often require surgery and may leave scars. Alcohol may increase the risk of these cancers because of a compound that can interfere with your DNA’s repair. Alcohol causes acetaldehyde, which is made when alcohol is being broken down, to be produced in the body. Acetaldehyde has been found to increase your skin’s sensitivity to light and chance for sunburn. Additionally, alcohol can suppress your immune system. Both of these effects can lead to the growth of cancer cells. 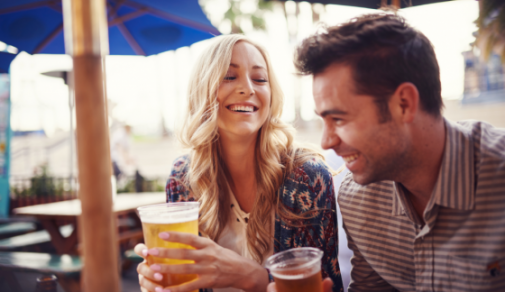 Dr. Michael Jude Welsch, a dermatologist with Advocate Christ Medical Center in Oak Lawn, Ill., recommends limiting your intake of alcohol or avoiding it altogether when you will be out in the sun. Dr. Welsch advises to protect yourself from the sun’s harmful UVA and UVB rays whether you are drinking or not. It is important to be aware of any changes in your skin.